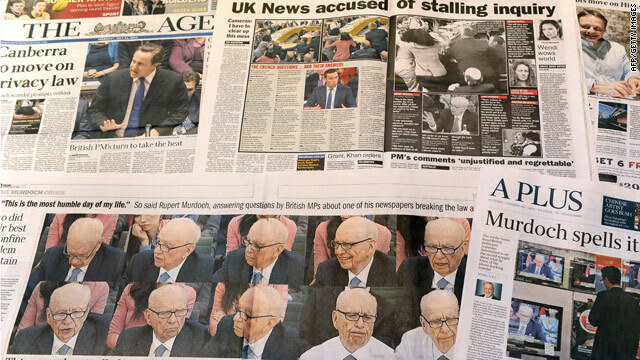 A look at how the Murdoch Parliament testimony appeared in papers in Australia, where Murdoch also has a stake in the media. A calm in the Murdoch storm: What's brewing on the horizon? In the week since News International executives answered questions from Britain's Parliament on the UK phone hacking scandal, the frenzy has died down a bit, perhaps allowing Rupert Murdoch and his minions to direct the news rather than react to it. Gone are the daily live blogs and Parliament has been in recess. In the past few days, stories about the troubles of Murdoch's News of the World have not been splashed across front pages as dominantly. The much-needed time could be exactly what News Corp. needs ahead of some big meetings. And it gives us a chance to see where things stand and where they might be headed. Tropical Storm Don has developed over the southern Gulf of Mexico with maximum sustained winds of 40 mph, the National Hurricane Center said Wednesday. If it continues on its current path, it should approach the coast of the northwestern Gulf of Mexico on Friday. As of 5 p.m. ET Wednesday, the storm was located 190 kilometers (118 miles) north of Cozumel, Mexico, and about 1,220 kilometers (758 miles) east southeast of Corpus Christi, Texas, the center said. It was moving to the west northwest near 19 kilometers per hour (12 mph). A convicted killer who escaped from a Florida prison more than 30 years ago was arrested Wednesday in Colorado, authorities said. 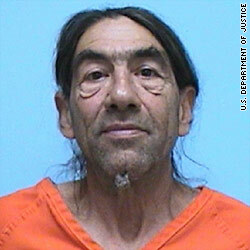 Mark Barrett, 60, was taken into custody by U.S. Marshals Wednesday morning at his cabin outside of Montrose, the Department of Justice said in a press release. Barrett was serving a life sentence for murder in 1979 when he scaled prison fences to freedom, according to America's Most Wanted, which featured Barrett's case in January 2010. Tips led to a Barrett's cabin outside Montrose, where officers disguised as fire protection officials approached him Wednesday morning and engaged in short conversation with him about fire concerns in the area, the Department of Justice said. Once the deputy identified a tattoo on Barrett's hand, law enforcement officers identified themselves and took him into custody. During the arrest, deputies noticed firearms and what appeared to be a small marijuana grow operation. Barrett is being held at the Montrose County Sheriff’s Office while he awaits extradition to Florida. 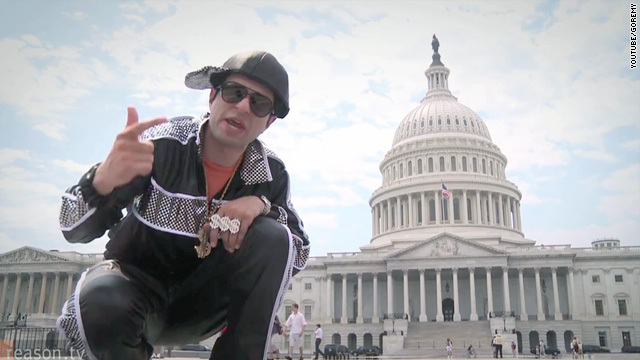 Comedian Remy Munasifi is superimposed in front of Washington landmarks while rapping in "Raise the Debt Ceiling." Raps about rival gangs are so Clinton-era. It's all about Democrats and Republicans these days. Comedian Remy Munasifi appears in a music video posted Tuesday on YouTube called "Raise the Debt Ceiling," about the current impasse on Capitol Hill. With about 39,000 views as of Wednesday afternoon, the video has gone somewhat viral. The video appeared on ReasonTV, the YouTube channel for Reason magazine, a libertarian monthly that promotes what it calls "free minds and free markets." The music video features the comic superimposed in front of Washington landmarks, Benjamin Franklin's $100-bill mug and a graffitied wall inscribed with "Greenspan 1987-2005" and "Fed Life." Throughout the video, he employs an apropos "raise the roof" dance move. Munasifi appeared Wednesday on "CNN Newsroom." "When you watch the coverage, it's Republicans calling the Democrats crazy and the Democrats calling the Republicans crazy. I was looking at the debate and thinking, 'Look, you're all crazy.' And all this spending kind of fits in well with a bad rap." Filed under: Budget • District of Columbia • Economy • Politics • U.S. The Angels' Ervin Santana (center) celebrates with his team after getting a no-hit win against the Indians on Wednesday. Los Angeles Angels pitcher Ervin Santana recorded an unusual type of no-hitter Wednesday afternoon, conceding an unearned run in the first inning before shutting down the Indians in a 3-1 win in Cleveland. The complete-game no-hitter is the first for the 28-year-old Santana, whose 2011 record moves to 6-8. [Updated at 1:22 p.m.] Here are the latest developments. - Norwegian Prime Minister Jens Stoltenberg says an independent commission will be set up to investigate Friday's bombing in Oslo and shooting on Utoya Island. He said he hoped it would reduce the risk of such attacks happening again. His goal is for the commission to report back to parliament within a year, he said. - Norway's police have released the names of 13 more of those killed in Friday's attacks. Twelve of them died on Utoya island, the scene of a mass shooting at a Labour Party youth camp. 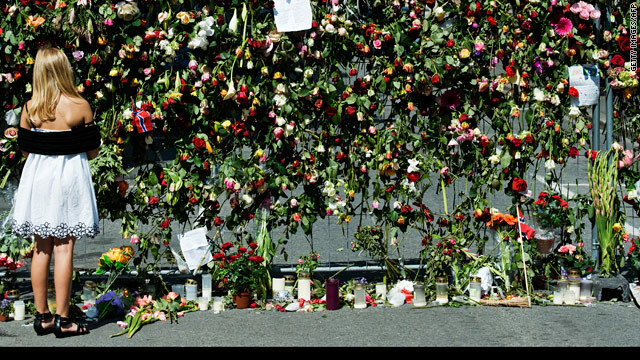 The 13th was killed in a blast targeting government buildings in Oslo. The youngest among them was 14-year-old Sharidyn Svebakk-Bohn. - Police and members of the public rescued about 300 people from the waters around Utoya during and after the mass shooting, police said Wednesday. - Police are using a mini-submarine and a special boat to search the waters around Utoya, local Police Chief Sissel Hammer says. People's personal effects have been found on the lake bottom, she says. "There is much work left" to do in securing evidence, she said, and the island will remain cordoned off. - Norwegian Prime Minister Jens Stoltenberg rejected the idea that Norway lost its innocence in Friday's terrorist attacks and said he hopes the country will grow stronger in its commitment to its core values: "It's absolutely possible to have an open, democratic society and at the same time to have security measures and not to be naive," he said Wednesday. - Jens Stoltenberg said he is thinking more about the victims of the attack than the suspect: "I think about the acts he committed, and they are horrifying - but in one way or another, I've created some distance to that man." A federal judge dismissed a lawsuit Wednesday that tried to block funding of stem-cell research on human embryos. A federal appeals court in April lifted a previous injunction on continued funding, and U.S. District Chief Judge Royce Lamberth has now agreed with the Obama administration that the lawsuit brought by two scientists should be dismissed. The 38-page decision is a victory for supporters of federally funded testing for a range of diseases and illnesses. The field of embryonic stem-cell research has been highly controversial, because in most cases the research process involves destroying the embryo, typically four or five days old, after removing stem cells. These cells are blank and can become any cell in the body. Because of the destruction of embryos, most opponents believe this is moral issue. Supporters of the research point to the potential for saving lives. 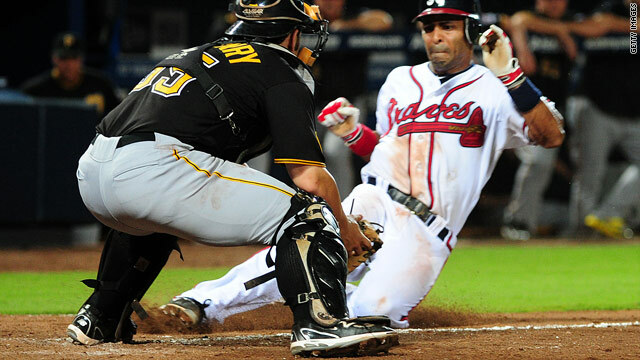 Braves player Julio Lugo scored the game-winning and controversial run in the 19th inning. Was Braves win result of the worst call of the year? [Updated at 5:42 p.m. ET] A lot of people who love baseball sing the praises of its timelessness. No clock, game goes until somebody wins. Joe Posnanski wrote a long piece about this in Sports Illustrated just last week. And only in baseball can a game go almost seven hours - 19 innings - end at almost 2 a.m., and actually be over too soon. That’s because what was (in the minds of many) pretty clearly a blown call by an umpire gave the Atlanta Braves a 4-3 win over the Pittsburgh Pirates early Wednesday morning. It was the longest game ever played at Atlanta’s Turner Field. If the ump had gotten the call right, the game could have moved into a 20th inning. See for yourself. Of course to Pirates manager Clint Hurdle, it was obvious all along. "I saw (McKenry) tag him three feet in front of the plate” he told the Pittsburgh Post Gazette, “and that's the way it looked when I went back in there and looked at it again - he tagged him three feet in front." Major League Baseball's chief of on-field operations, former big-league manager Joe Torre, said Wednesday afternoon that it appears Meals missed the call. "Many swipe tags are not applied to the runner with solid contact, but the tag was applied and the game should have remained tied," Torre said in an e-mailed statement. "I have spoken with Jerry, who is a hard-working, respected umpire, and no one feels worse than him." Torre's statement anticipated people calling for MLB to expand video replay reviews. MLB currently allows replay only for home run calls. "I have heard many discussions on umpiring and technology over the past two years, including both the pros and the cons of expanding replay. However, most in the game recognize that the human element always will be part of baseball and instant replay can never replace all judgment calls by umpires," Torre said. "Obviously, a play like this is going to spark a lot of conversation, and we will continue to consider all viewpoints in our ongoing discussions regarding officiating in baseball." The impact of the Braves-Pirates call is magnified because both teams are fighting for division leads or chances for the National League wild-card slot, so every game and every call counts. For those less invested in the outcome of the game, you can check out this top trending hashtag: #jerrymealssaysitssafe, where people say they’ll do something dangerous - like run with scissors, or put a fork in a light socket, or tell people that nothing bad will happen if the U.S. defaults - all ending with “jerrymealssaysitssafe." Besides being timeless, the baseball season is also sort of endless. It lasts for 162 games, so the Pirates, Braves, and Jerry Meals will all be back out there tonight for a 7 p.m. game. 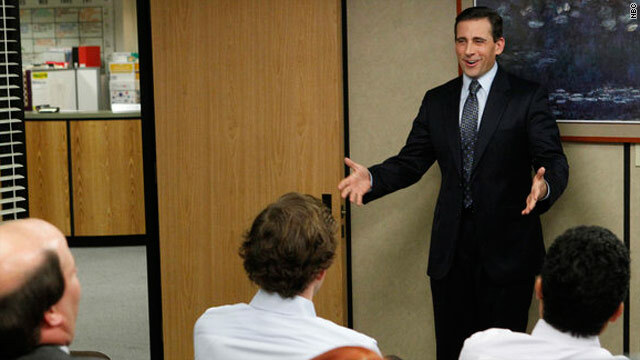 Afghanistan is about to have its own version of the bumbling boss Michael Scott (played by Steve Carell). An inept security guard, a sour-faced secretary and a bumbling Minister of Garbage? Paging Ricky Gervais, did you know your template for the original British hit show "The Office" is about to be redone again? It seems that way judging by a clip posted on blogs reportedly for a new show in Afghanistan called "The Ministry." The mockumentary tone of the show is just like the British and American version, which stars Steve Carell, but Afghanistan's "The Ministry" will tackle topics more serious than the shows in the West. ToloTV, a company that began broadcasting in Afghanistan in 2004, will give its audience in the war-torn country "Office"-esque episodes focused on political corruption, the Washington Post reports. 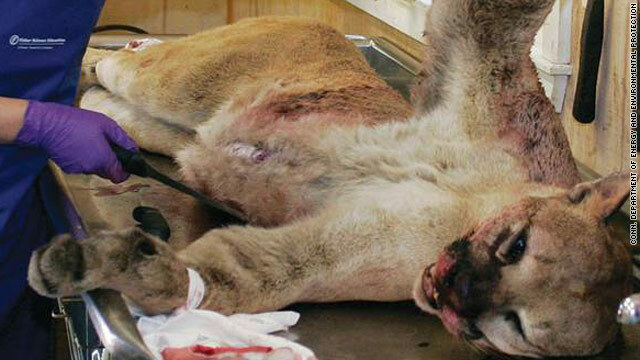 Connecticut officials prepare the mountain lion for a necropsy. A car struck the animal in Milford, Connecticut, in June. The first wild mountain lion confirmed in Connecticut in 100 years traveled to the northeastern state from the Black Hills of South Dakota, Connecticut officials say. The mountain lion was killed when a car struck it in Milford, Connecticut, on June 11. The Connecticut Department of Energy and Environmental Protection said genetic tests proved the animal's origin. Connecticut has no native population of mountain lions. "This mountain lion traveled a distance of more than 1,500 miles from its original home in South Dakota - representing one of the longest movements ever recorded for a land mammal and nearly double the distance ever recorded for a dispersing mountain lion," agency Commissioner Daniel C. Esty said in a news release. The U.S. Department of Agriculture's Forest Service Wildlife Genetic Laboratory in Missoula, Montana, matched DNA taken from droppings, blood and hair found at the location of mountain lion sightings in Minnesota and Wisconsin in 2009 and 2010 with DNA taken from the Milford animal, Connecticut authorities reported. Other mountain lion sightings in Minnesota and Wisconsin as well as Michigan are believed to be of the same animal, authorities said. Joseph W. Schexnider, in an undated photo, disappeared in 1984. His remains were found in a bank chimney in May. Why was skeleton in chimney of Louisiana bank? Skeletal remains found in the chimney of an Abbeville, Louisiana, bank two months ago have been identified as those of a local man who hadn't been seen in 27 years. The remains are those of Joseph W. Schexnider, who vanished at age 22 in January 1984, Abbeville police said. His disappearance was noted after he failed to show up for a court hearing on a charge of possession of a stolen vehicle, according to a report from CNN affiliate WAFB-TV in Baton Rouge. When Vermilion Parish sheriff's deputies showed up at his home to take him in to custody, Schexnider's mother said he had fled to avoid arrest. The remains were discovered in May when construction workers were doing renovations on the Bank of Abbeville, WAFB reported. 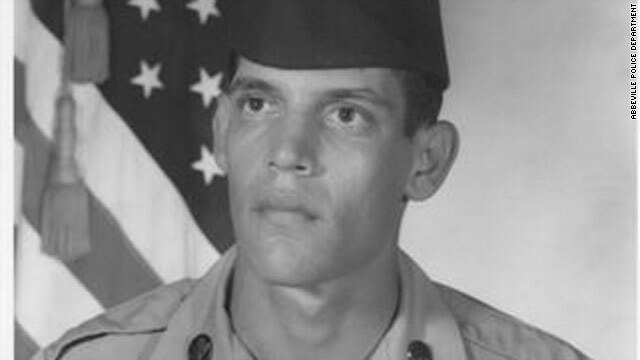 Tests by the Louisiana State University Forensic Anthropology and Computer Enhancement Services Laboratory established the remains were those of Schexnider, who would be 49 years old now. Authorities say he likely died of dehydration and starvation, reported CNN affiliate KATC-TV in Arcadia-Lafayette. What remains a mystery is why Schexnider was in the chimney. 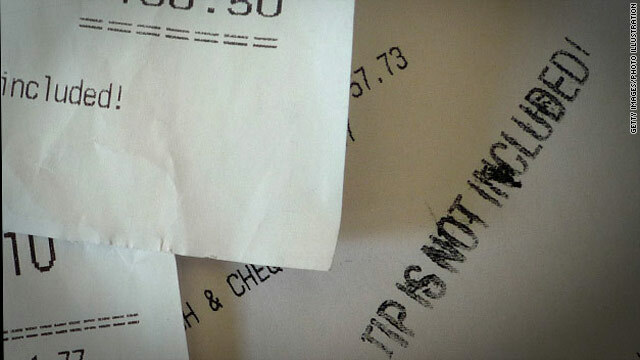 It's not just social pressure that makes people tip at restaurants but also human nature, a study suggests. Norway's Prime Minister Jens Stoltenberg invited foreign journalists to a meeting at his home Wednesday, following the massacre of 76 people last week by a suspect who, his lawyer says, was targeting the governing Labour Party. Norway remains tense following the bombing and gun rampage, with police in Oslo shutting part of the main train station Wednesday morning over a suspicious package. They evacuated part of the station before declaring an all-clear later in the morning, state broadcaster NRK reported. And an unnamed police officer sparked a panic by accidentally distributing to some media an internal police memo saying they were searching for a man associated with the terror suspect, Anders Behring Breivik. At least eight people, including an 11-year-old boy, were killed on Wednesday amid gunshots by security forces and rock-throwing by residents outside the Syrian capital of Damascus, according to the UK-based Syrian Observatory for Human Rights. The incident occurred in Kanaker, according to the group's Rami Abdul-Rahman. The bloodshed follows days of violent government crackdowns on protests across the country, including the cities of Aleppo in the west, Deir Ezzor in the northeast, and Douma in the Damascus area. "At 3 a.m. Wednesday, Syrian security forces and army soldiers stormed Kanaker amid heavy gunfire. Some residents threw rocks at the tanks and burned tires as many chanted 'Allah is the Greatest' in the west part of the town where seven tanks took positions there," the observatory said in a statement. "Fourteen other tanks spread in two other directions. Four tanks withdrew from the eastern section of the town as waves of rocks hit them. Several civilians were injured and are being treated in makeshift clinics and mosques. Residents said the electricity has been cut out. The situation remains tense." 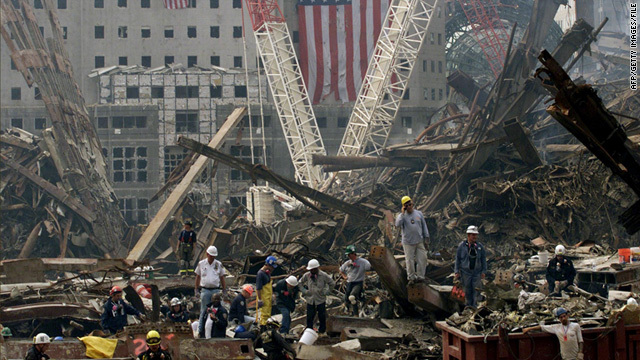 CNN cannot independently verify the events, and there was no immediate government response. The United Kingdom recognizes Libya's rebel umbrella group, not Moammar Gadhafi's regime, as the legitimate government, Foreign Secretary William Hague said Wednesday. "We are dealing with them as if they are the state of Libya and that is how we are treating them," Hague said of the Transitional National Council. He said London was working on ways to unfreeze Libyan government assets and get funds to the rebels. His announcement came shortly after the Foreign Office said it had expelled all Libyan Embassy staff from the country. Jeret "Speedy" Peterson in January 2010 in Vancouver after winning the men's freestyle aerials. Man arrested for threatening Obama's life - A 21-year-old man from Uzbekistan was indicted Tuesday in Alabama for threatening to kill President Barack Obama. The man was in the United States illegally because his student visa had been revoked, yet he was able to obtain a machine gun and a grenade, authorities said. Ulugbek Kodirov had bought the machine gun from an undercover agent at a motel in the small town of Leeds, Alabama, the Department of Justice said. 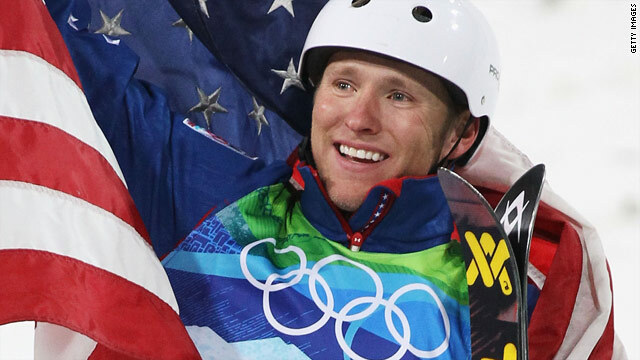 Olympic athlete kills himself - Freestyle skier Jeret "Speedy" Peterson, who won a silver medal at the 2010 Olympic Games, died of a self-inflicted gunshot wound, Utah police say. The 29-year-old called police Monday night and said he was going to kill himself. He told them he was in Lambs Canyon, between Salt Lake City and Park City, a police official told CNN. Officers found him there dead at about 11:30 p.m. Peterson had competed in two Olympics, taking bronze at two straight World Junior Championships in 2000 and 2001. He picked up the nickname "Speedy" at a summer ski camp in Lake Placid, New York, in the mid-1990s, because coaches said his big helmet reminded them of the cartoon "Speed Racer." He competed in Torino, Italy, at the 2006 Winter Games. Memphis schools to open on time - Schools in Memphis, Tennessee, will start the school year on time. The announcement comes after much controversy surrounding $55 million the city owed the schools so that they could keep operating on a normal schedule. There was talk that school openings would have to be delayed. There are approximately 103,000 students in the state's largest district, according to local reports. What's happening in Memphis mirrors a trend in the rest of the country, where schools are laying off teachers and trimming budgets due to fiscal problems related to the troubled national economy. Debt talks - There is still no end in sight on a debt agreement. A representative from Moody's will be on Capitol Hill on Wednesday to give lawmakers a frank assessment of how bad things could get if there isn't a resolution by next week. Pennsylvania Sen. Pat Toomey says the U.S. could lose its AAA credit rating regardless of whether an agreement is reached. Read more about what the stalemate could mean for the economy. Filed under: Barack Obama • Crime • On the Radar • Politics • Sports • U.S.